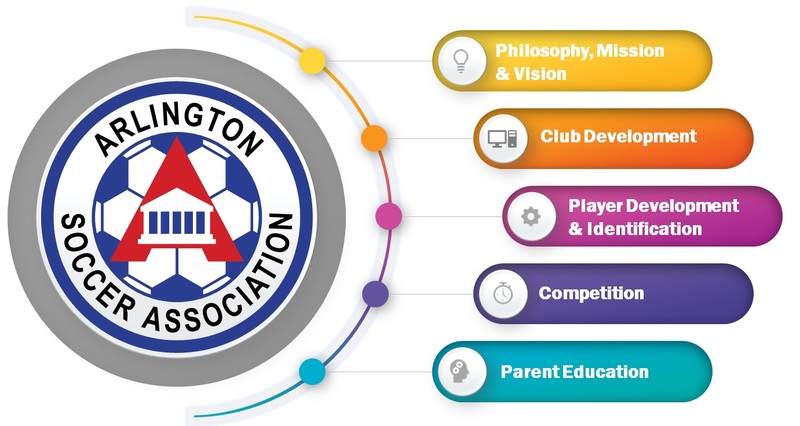 Arlington Soccer Association has in this Development Academy a great responsibility and commitment towards a holistic approach regarding the development of our players. We prioritize education and learning as starting points for the soccer development of each one of our players as we provide a professional and high level trainng environment where our players can flourish. The player is the key component of our Development Academy. It is very important to focus on the Integral Education of each one of our players. We cannot have good players if we do not have good persons first. We want our young players to develop in all areas of life as they grow and become high level soccer players. Be a good Citizen, a good Student, and the best soccer player you can be.